Off to this show tomorrow with Shellsea Harbour. Will post pictures on Sunday. 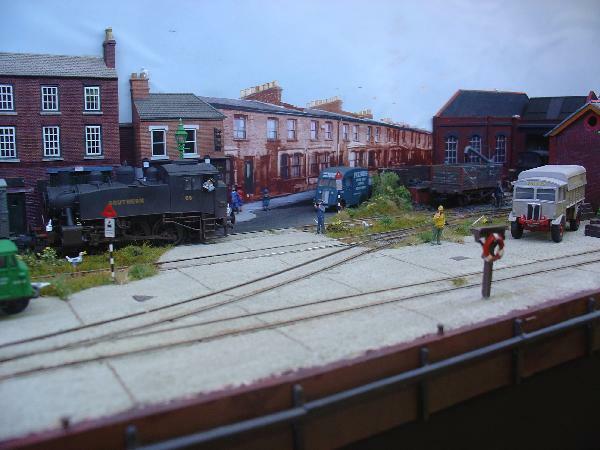 Here is a small selection of the layouts at the show, starting with Porlock - a small GWR terminus with a little flavour of Hemyock and an equally idiosyncratic track layout, here involving potential gravity shunting for passenger trains (although I only saw auto trains and railcars operating). 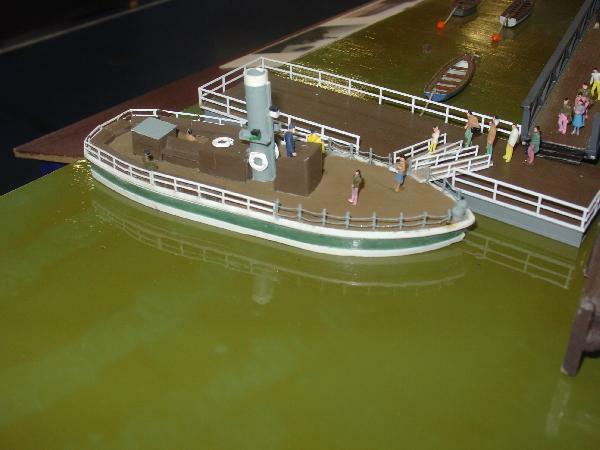 One of the two 3mm scale layouts was Portsea - a much compressed version of Portsmouth. 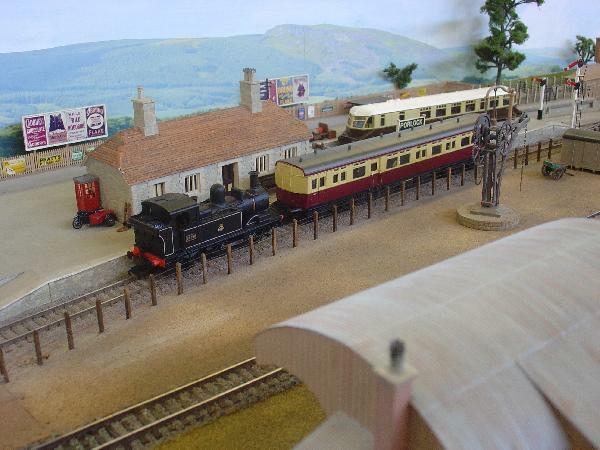 I liked the station at Portsea Town built on an over-bridge, and hiding the exit to the fiddle yard. There was a lower level dockyard served by a goods branch seen dropping down a gradient from the platform. 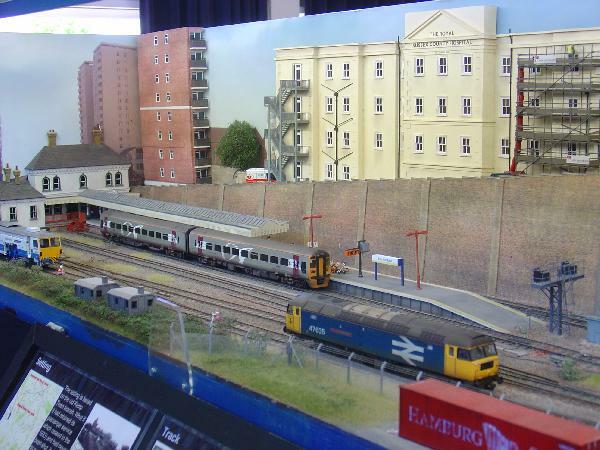 Another Southern harbour was Canute Road Quay, a location taken from the Southampton Docks. 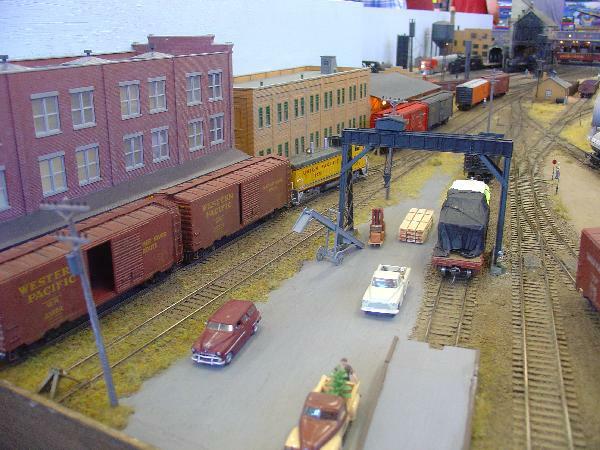 This was in 4mm scale with a US 0-6-0T in charge of shunting. It had a nicely modelled corner pub in low relief and (I'm guessing) a locally shot photo back-scene of an actual row of Victorian cottages. 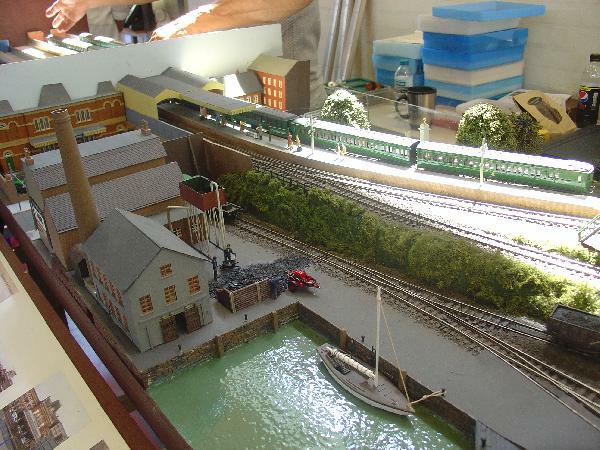 The track plan was a Timesaver, but the scenic treatment made it look natural rather than a model of a model. Despite the local club being firmly in Western territory, the Southern theme continued with Brighton East - based loosely on Kemp Town with a connection to Lewes as well as Brighton. The life of the branch has been extended into the modern period. 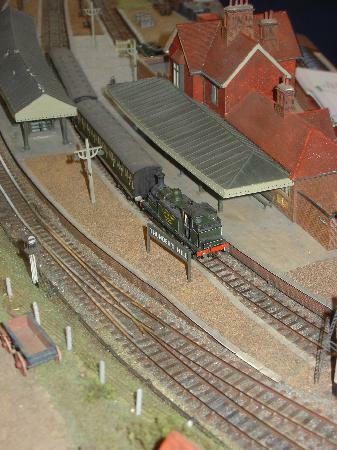 In the background is part of Sussex General Hospital, where one of the layout's builders did his medical training. Always a pleasure to see Thunders Hill, with its nicely observed locos and rolling stock from the inter-war years - and in 3mm scale, too. Finally (as far as this photographic record goes) was the US inspired Roundhouse, which apart from a huge loco facility, based on Laramie, had a small industrial area adjacent. I liked the gantry crane and the mobile conveyor loader- so useful as an unloading point when there isn't room for another industry. I did have a small niggle with two of the layouts representing early BR days that had track layouts and semaphore signalling that was unlike anything I can remember from the 1950s - but then I was taken to task for a sign on Shellsea containing an upper case J with a cross-bar top.